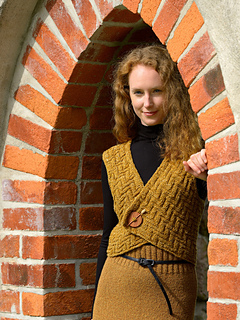 This vest may not be for everybody, but for the right person it is dramatic as well as flattering. There is very little finishing and it offers the opportunity to flaunt a favorite pin or brooch for fastening. 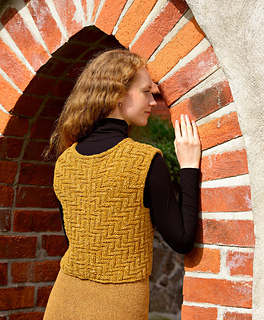 The lovely Misty Wool Yarn gives the pattern interest and definition. The knit and purl pattern is charted only.